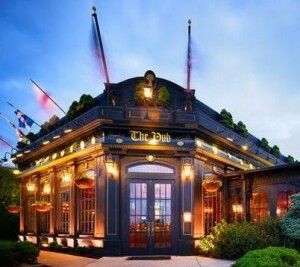 The Pub, at Perimeter Mall, is our new regular Sunday Venue. Please join us every Sunday at 7pm at this great location. See you there! ‘The Pub,’ which is connected to Perimeter Mall right next to Cheesecake Factory, is an exquisite English-style pub with a perfect upstairs for makeshift poker room, and we will run a trial tourney there this Sunday night at 7pm. Please help Posh make a strong showing by attending this event! The food is delicious, there is a full bar to choose from, and we have our own flat screens for NFL action. You can even pull your own beers from the 8 upstairs taps of your choice! Best of all, Cash prizes!!! Stay tuned for Sunday meetup email & have a great weekend! Once again it’s time for our quarterly final. We will hold the final on Saturday, May 2nd at 3:30. Stay tuned for detailed information. Qualifiers are listed below. Congrats to you all! Congratulations to all of the Qualifiers listed below. Our final Tournament will be held at Mazzy’s, Norcross, this Saturday, the 24th. Sign in is at 4:30pm. Good luck!! Congratulations to the qualifiers listed below. I will post an update shortly which includes chip stacks. The end of season tournament is this Saturday at Mazzy’s Norcross, 4:30pm! Posh Poker is proud to announce our newest location, Buffalo Wild Wings off of exit 8-Mansell Rd, beginning next Wednesday, April 9th at 7 pm!! This venue is a strong central location to the majority of our group and we hope this will quickly become a FLAGSHIP weekly tournament! Effective immediately we will move the Sunday game from Alpharetta to the Tilted Kilt, Perimeter. Join us as we try out this new location!